Please join us in welcoming Rev. John Morris as the interim Executive Director of God’s Appalachian Partnership (GAP). John will be beginning work immediately and serving alongside Lynn to ease to the transition in the final weeks of the Wagoners tenure. John and Shaughanessy Morris are NAMB appointed missionaries of the South Baptist Convention. John serves as pastor of Lothair Baptist Church and Regional Missions Mobilization Consultant for the Kentucky Baptist Convention. He is a graduate of The Southern Baptist Theological Seminary with a Masters in Missiology. John and Shaughanessy have been married for 15 years and have two children: Jacob (13) and Jhaughanessy (11). John can be reached at john.morris@gapky.org. If you have any questions about the process please don’t hesitate to contact us (GAPdirectors@gmail.com) and we will do our best to get you the information that you need. We will continue to send out regular updates as this progresses through email and on the GAP website (www.gapky.org). We are deeply grateful for your continued prayers and support for us a board and the organization as a whole. 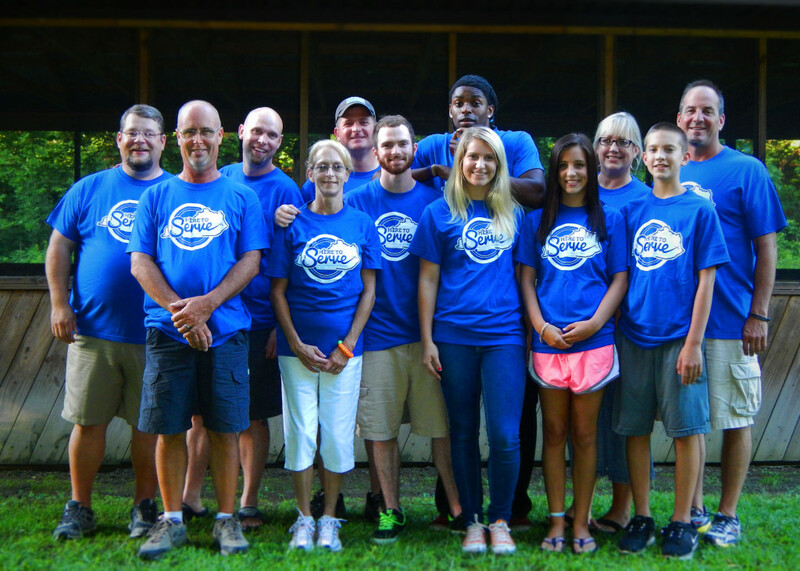 You remain a key part of the partnership as we spread the Gospel here in Eastern Kentucky. It is with great humility and honor that I accept the Board’s invitation and the Lord’s call to serve as the interim director of GAP. Lynn and Angie have became great friends of ours as we have co-labored with them in the Lord’s ministry. I have seen firsthand how the Lord has used GAP to touch many lives with His love. I ask for your prayers and continual support of the Lord’s ministry during this time of transition. I am excited about the future of GAP because we rest assured that the ministry’s founder, God, will continually guide and direct His work. Angie and I are excited with the Board’s choice for interim director. John and his wife, Shaughanessy have been a longtime friends. John has been involved with GAP since 2000. He has been instrumental in directing group to partner with GAP. He assisted GAP with flood relief, counseling for our clients and finding resources for the distribution center. We joined forces during several youth events including a mission trip. He led a Bible study in our home. He and Shaughanessy planned and hosted GAP’s 2012 staff retreat. 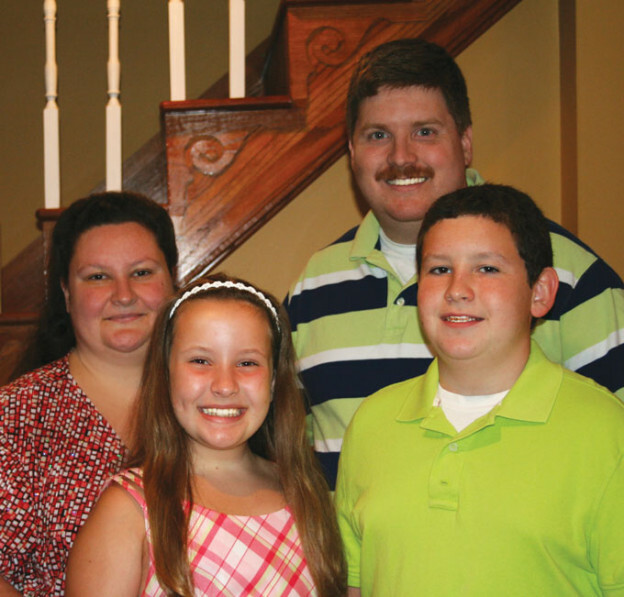 John served as our supervisor while we served as MSC missionaries for the North American Mission Board. He encouraged in difficult times and celebrated our joys with us. During our time of working together, God built a friendship for which we are truly grateful. We confidently pass the baton to John, knowing that GAP will be directed by a proven leader and a godly man. This entry was posted in Uncategorized on July 18, 2013 by WebManager. Over the past fourteen years, God has used many different people to support the ministries of GAP. This support has come in many shapes and forms — financial contribution, donation of equipment, food, diapers and the list goes on and on. Our friends Steve and Alicia Dawson are successful business owners in McDowell. They set a great example for giving back to the community. They provide services as well as precious employment with excellent wages. They are generous with their possessions and quite charitable with their money. They have provided scholarships to the Autism School, housing for exchange students, sponsorship for school and community events and have loaned their personal vehicles for youth trips and other activities. GAP has been the beneficiary of their generosity on many occasions. We are still using the 2001 Ford F-350 that was donated in 2002 with only 34,000 miles. Most of those miles were from picking up loads of food for GAP. The truck came after the purchase of the warehouse. One third of the purchase price was given to GAP by Steve and Alicia. Years ago, Steve approached Lynn concerning a piece of property. There were several ideas for the property and at one point, Lynn offered the land back to the Dawson’s because it didn’t seem as though anything we planned for it would work. Steve was confident that the Lord intended for GAP to have the land and that He would use it somehow, someway. 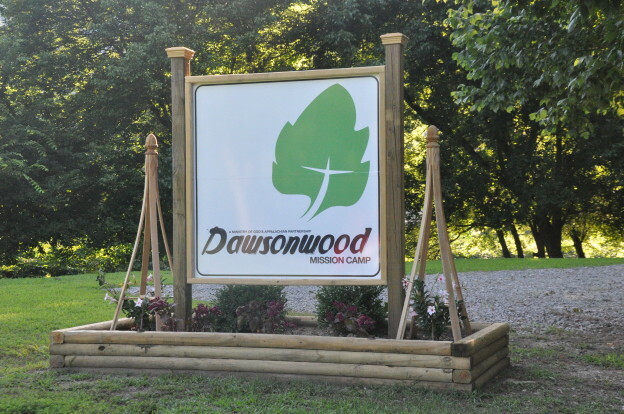 In honor of Steve and Alicia Dawson, the property was named Dawsonwood Mission Camp in 2007, when the Lodge was dedicated. The sign has been in the works for several months and was recently completed. May God’s blessings continue to abound on the Dawson family and on all who stay in the Servant’s Heart Lodge. This entry was posted in Uncategorized on July 16, 2013 by WebManager. Christmas is always an exciting time at GAP. Bill Stephenson’s presence at the Christmas Store made it all the more exciting. Bill came to share more than toys, although he was ready and willing to help any parent. His goal was that everyone would leave the warehouse knowing Jesus Christ and His gift of salvation. Bill was adamant that he take the bag of toys to the car. That gave him a chance to talk in a calmer setting than the sometimes noisy warehouse. No one in Bill’s care left without prayer. At least ten parents made professions of faith as a result of his faithfulness to share. Bill’s passion for winning the lost was not exclusive to GAP. He was actively involved year round in a truck stop ministry as well as Haven of Rest and supported PEL (Praying Effectively for the Lost) Ministries. He served as a deacon at Union Baptist Church. The memory of Bill’s example still inspires our volunteers today. Two years after the tragic murder of Bill and his wife, Peggy, it is impossible to think of the Christmas Store and not think of Bill. His name and face has become synonymous with the Christmas Store for those who witnessed him in action. At the time of his death, the family asked that in lieu of flowers, donations be made to a fund that would be divided among Bill’s ministries. 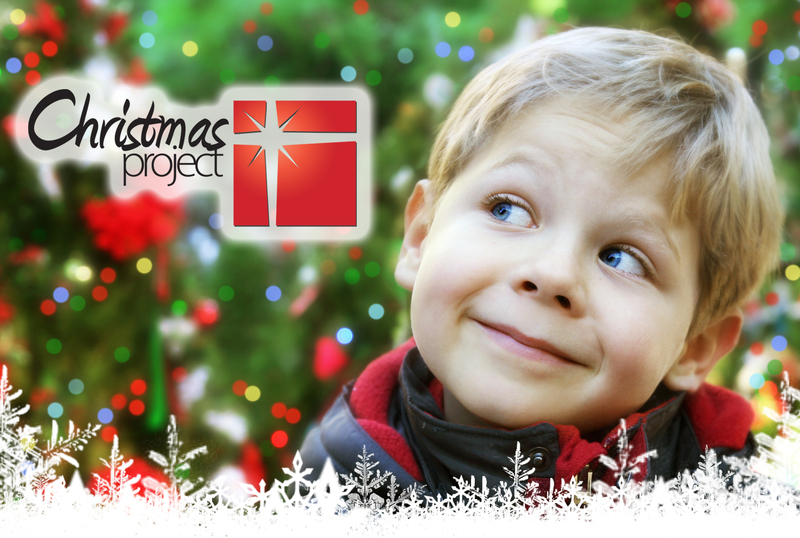 Even after his death, Bill continued to give to the Christmas Store, providing many gifts for the children with the portion of donations given to GAP. Last Christmas we wanted to do something to honor Bill’s dedication and to remind us all that we need to carry on his passion to reach the lost for Jesus. The Christmas Store has always been housed in the GAP warehouse. 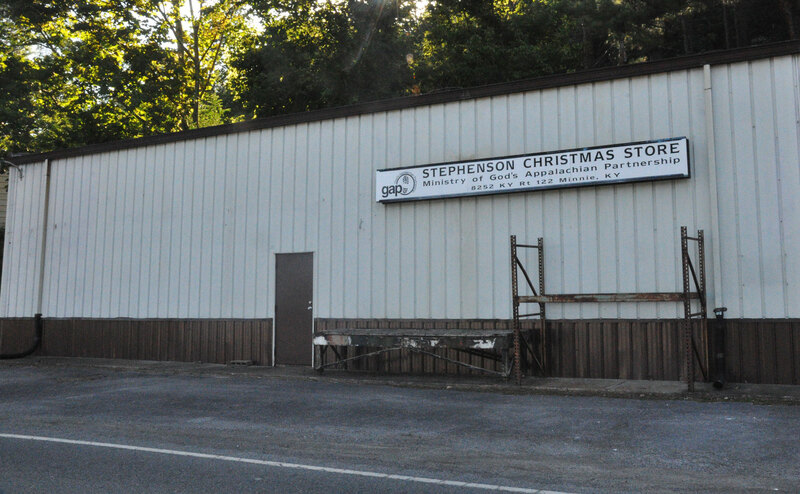 Today we proudly display the warehouse’s new name: Stephenson Christmas Store. This entry was posted in Angie Wagoner, The Footprint on July 16, 2013 by WebManager. New Work Fellowship (Hopkinsville, KY) ministered to an elderly lady in the community by installing a roof on her home. The lady’s family appreciated the help so much that they fed the team a hot lunch each day. During Tuesday distribution the team served the clients through fellowship, food and crafts. They then visited the group home and blessed them with crafts and fellowship. This entry was posted in Mission Teams and tagged 2013 Mission Teams, Appalachia, Community Outreach, Home Repair, Kentucky Missions, McDowell KY, New Work Fellowship, Volunteers on July 12, 2013 by WebManager.